Since 1971, We’ve Had One Mission: Training Champions for Christ. In 1971, Rev. Jerry Falwell Sr. dreamed about world change. He envisioned a generation of professionals in every field who loved God, served others, and were the best at whatever they were called to be. He saw a university on a mountain where this training could happen—and he started to build it. Less than 50 years later, his son Jerry Falwell Jr. is now at the helm, and Liberty is one of America’s leading Christian universities. It has Carnegie research status, an FBS-bound football program, and an award-winning campus. More than that, it trains pilots, engineers, doctors, nurses, teachers, artists, lawyers, pastors—professionals in almost every field who love God, serve others, and are the best at what they are called to be. It trains Champions for Christ. 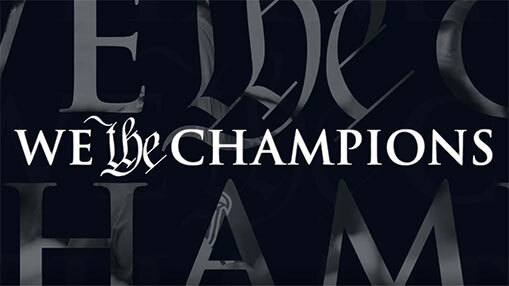 But while the world sees champions as only victors, at Liberty, we are reclaiming the word. A champion is a defender, a risk-taker, and an advocate who stands up for the voiceless, the hurting, and the oppressed. Here, we champion the needs of others through prayer, service, and the gifts God gave us. It is our mission and our vision—Training Champions for Christ is what we do. Being a champion means displaying gratitude, humility, integrity, joy, love, service, and unity every single day, whether you’re out saving the world or commuting to your everyday job. At Liberty University, we strive to live out these Christ-like characteristics at an academic institution. Our Declaration reminds us of the power faith and education have to transform people into a force for change – good change – in the world. Get to know Liberty students, graduates, faculty, and friends who are using their talents, knowledge, and skills to make the world a better place.